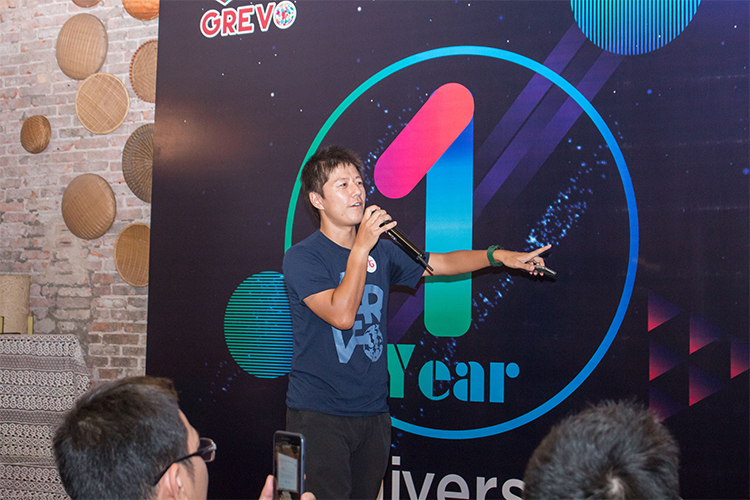 One year is a big milestone for any company which marks a memorable milestone for efforts of all members in a company, and that goes doubly for us, GREVO – born by the cooperation of Evolable Asia and GREE - #1 Partner trusted by Game Business Owners for time-savings, scalability and delivery expertise. 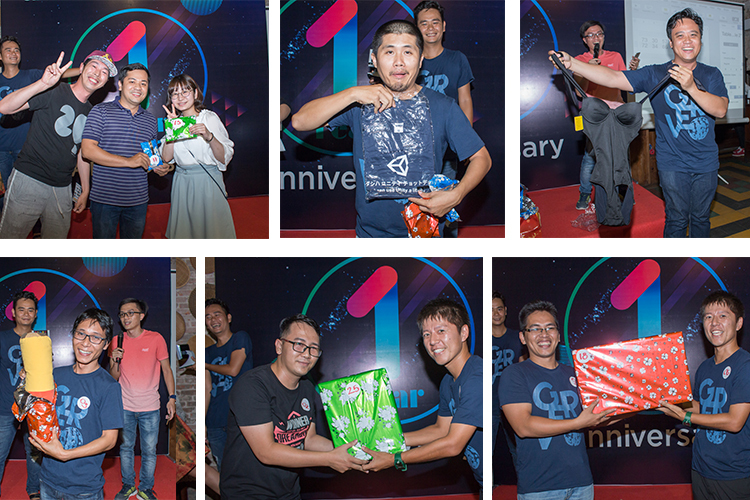 To celebrate the 1st anniversary establishment, we operated a big boom fabulous party and invited all members and clients to join it. 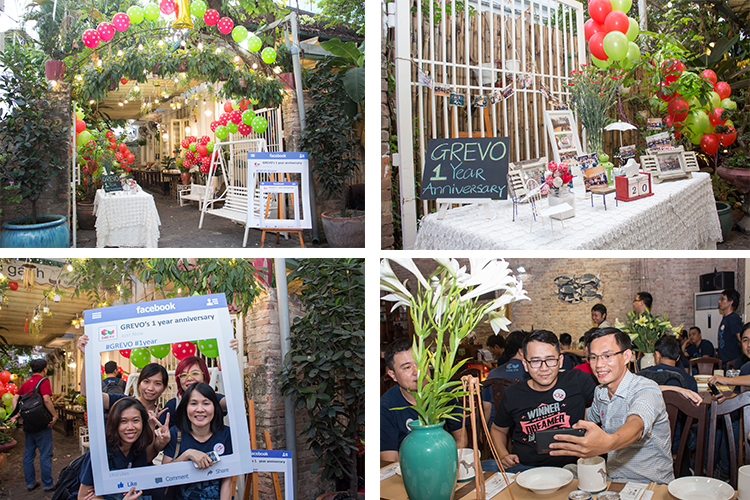 The party took place in the bustle air with the participation of all GREVOers. This party was not only an event for looking back the significance of what we would complete together, how quickly we achieved our goals, but also making up a great new plans to come in the way forward. Do you want to see some of our unforgettable moments in the party. Let’s roll down and check it out! Background from the outside of the restaurant. 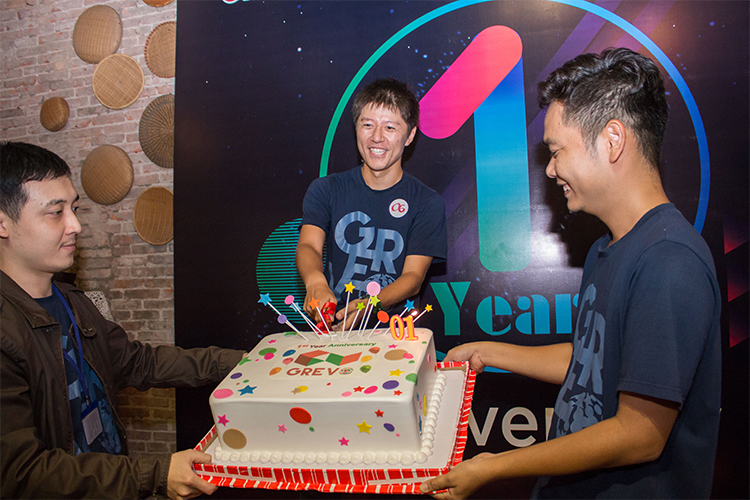 A traditional ritual of every birthday – Cut Birthday Cake by CEO. 1…2…3…. Cheer for our efforts last year and years later. The party would never be enough if we missed some of funny games. 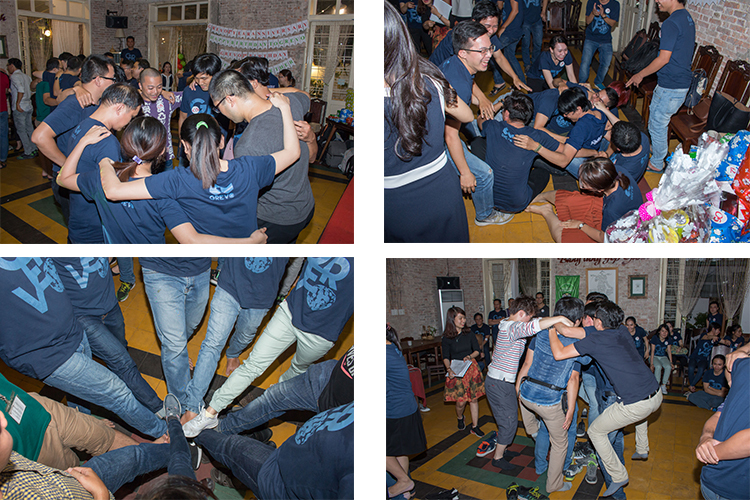 In the party, we created one new teamwork game for our members which called “Team Pyramid”. The rule was quite simple but it needed to be creative and a teamwork spirit. Each team would have 10 members with all feet on the ground. Through each round, the number of feed on the ground will be decrease but the number of member each team would be the same. Which team can keep balance with the number of required feed on the ground in the longest time would be the winner and would be get a big surprised gift. Each team created their own creative styles to satisfy with requirements, but it was still really difficult. We finally found the winner for “Team Pyramid” Game. On top of that, Bingo was the game that everyone felt eager the most since every member could have chance to get the lucky gift for him/herself. Members won bingo game and got a very special gifts from organizers. 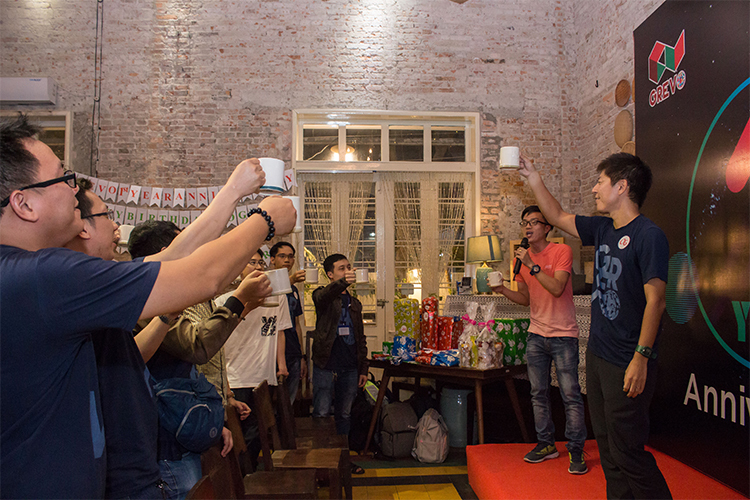 The party night was end but it still brought good and unforgettable memories to all of members on that day. Thanks to our great Clients, Partner and Colleagues for your support in this milestone of ours. 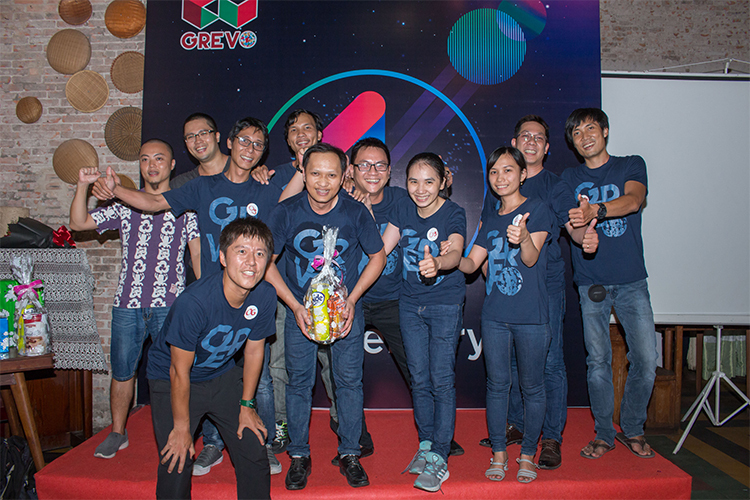 We’ve built lots of successful projects together and we’re looking forward to strengthen them even further! 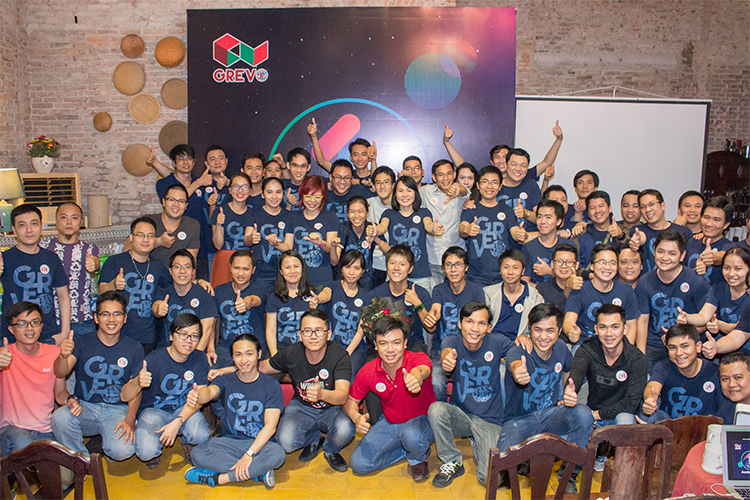 Thanks so much for making GREVO as a special company ever!